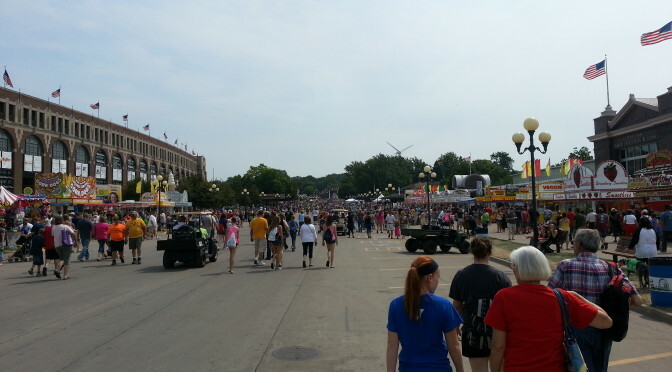 Every year I look forward to the Iowa State Fair! The food, the fun, and all the great entertainment. This year I have another reason to look forward to it. 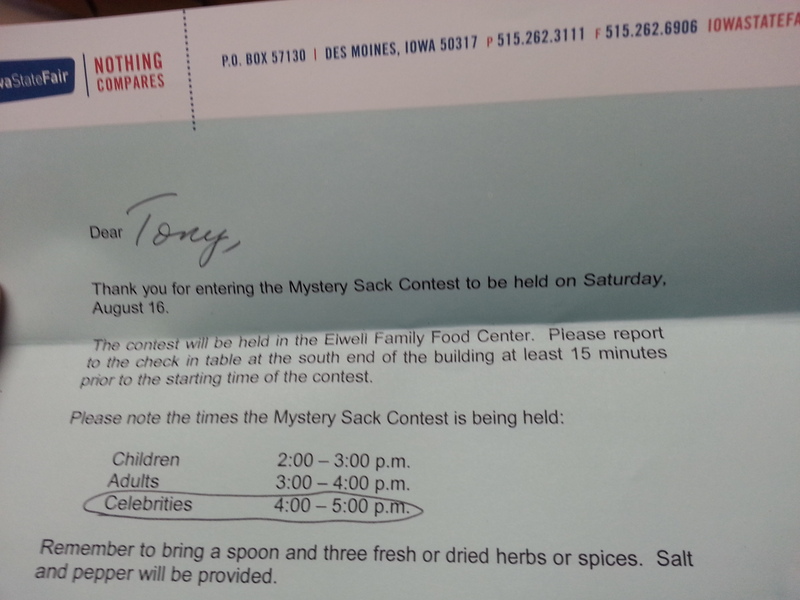 I’m going to be competing in the Celebrity Division of the Mystery Sack contest. I don’t really consider myself a “celebrity” but since I’m on the radio they’re letting me in. I’ve taken part in the Governor’s Charity Steer Show and the Celebrity Cow Milking Contest before. 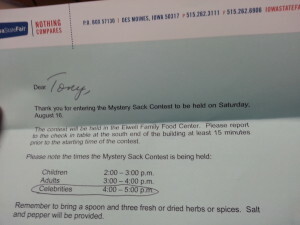 I’ve even emceed the Mom Calling Contest… but of all the contests at the fair the Mystery Sack contest is the one that I’ve wanted to take part in the most. Here’s how it works: each contestant brings a spoon and 3 fresh or dried herbs or spices. You’re given salt, pepper, an electric skillet, a sack of mystery items, and 30 minutes to make a dish. Fifty percent of the judging is on the taste of the creation and the other fifty percent is based on the best use of products. To some people this might sound frustrating but to me it sounds like fun. I pride myself into being able to whip up creative dishes. Telling me “we have nothing to eat in this house” isn’t a statement. It’s a challenge! That’s why I’m really looking forward to the Iowa State Fair. The good news is it’s less than a month away! If you could enter any contest at the fair which one would it be?